If you suffer from a chiropractic condition, the only solution is chiropractic care. It's that simple. 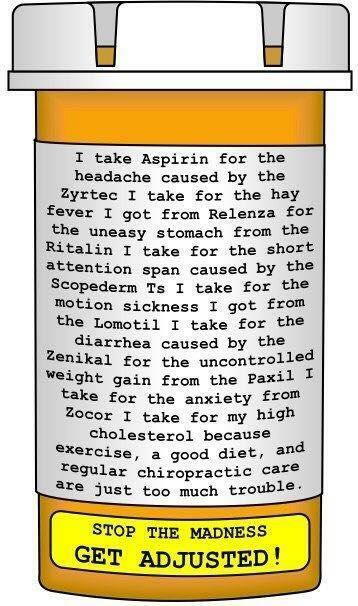 Why are the pharmaceutical companies so strong and powerful? It is because they are in bed with our elected leaders and politicians. They are buying political access and favors. It's that simple. It is all about money and greed.